At the Amazing Blog, it’s no secret that we are always on the hunt for the the best products that are right for our reader's skin. 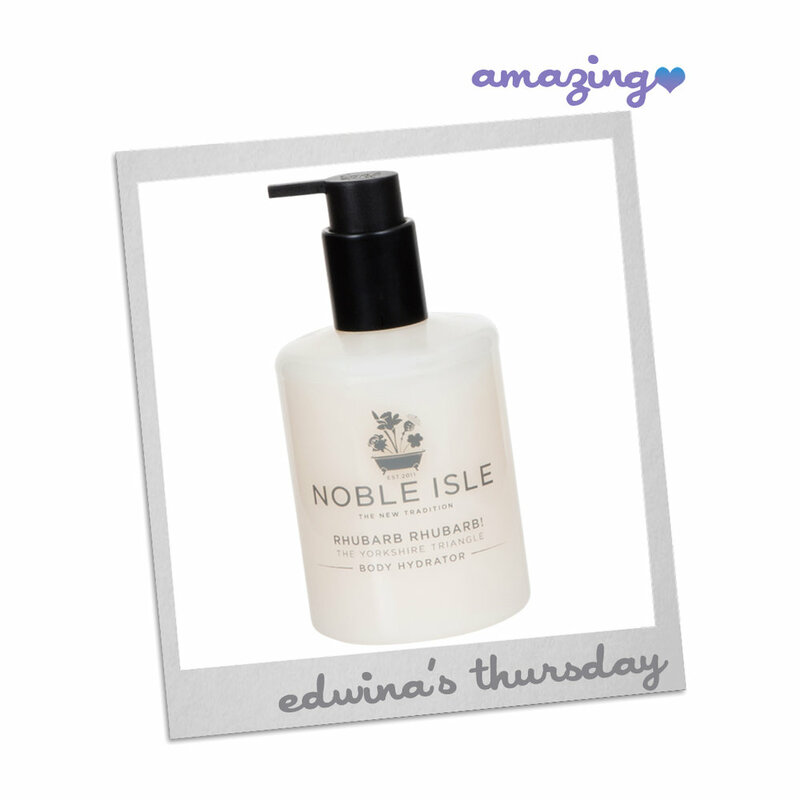 We recently discovered a wonderful luxury brand that we all adore in the office: Noble Isle. We particularly enjoyed thair Body Hydrator which refreshed and moisturised our skin. The Body Hydrator is truly marvellous! It is a light gel based moisturiser that cools and tones when applied, helping to nourish and refresh your skin. With a delectable scent, the product quickly absorbs into the skin, smoothing it while leaving the light and divine fragrance of bittersweet rhubarb. This product has a unique twist as it's extracted from a rhubarb farm in the Yorkshire Triangle, giving it all the goodness of Britain in the bottle. Noble Isle has a broad and diverse range of beauty products, including bath and shower gels and their own exclusive range of home fragrances that we highly reccomend exploring! Purchase this product here for £25.